Genuine Military spec black peacoat button from US mfr. 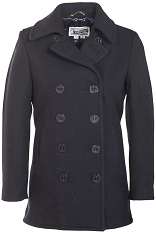 Lost a Peacoat Button? 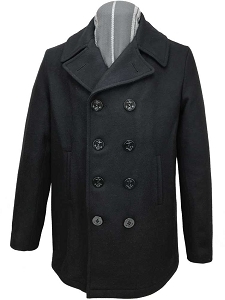 Here is the perfect replacement for your current military style Pea Coat. Gloss black button with Naval Anchor and 4 stitch holes. Sold in pack of 4. Dimensions: 1 1/4" diameter. Perfect match for my vintage USN peacoat (early 1950's era)- quick service! The buttons were received quickly and fit perfectly to my pea coat. Great transaction, highly recommended. The items arrive just as they were offered. 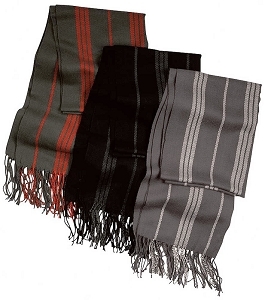 The are good quality, arrived promptly, and arrived in good condition. I will not hesitate to order form this vendor again. 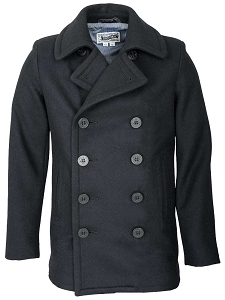 I finally got my Navy P-coat out of storage. Button was missing. Looked all over town, not available. ACE maled them to me in nothing flat. Exactly what I needed. GREAT service. Exactly what I was looking for. Great product and fast delivery. Highly recommend.